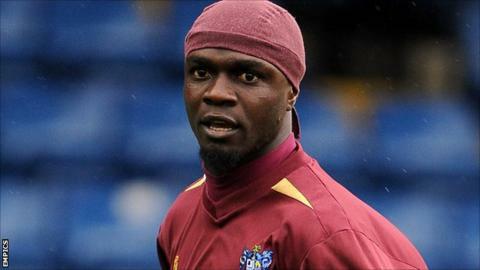 Barrow have signed defender Efe Sodje from League One side Bury on loan until Saturday, 16 March. The 40-year-old Nigeria international has made 16 appearances for the Shakers this season, scoring once, but has had two dismissals and six cautions. He will be eligible for the Bluebirds' trip to Southport in Blue Square Bet Premier on Tuesday. The veteran defender is currently stranded on 499 Football League starts, having not begun a match for Bury since 12 January.